How much do classes cost per month? We have a variety of prices for varying budgets. Please see Price List for costs. Where do you run the classes? The swim classes are run in Caddebotan Powerfull Club and Beşiktaş Shangri-La Bosphorus, ISTANBUL these days. Please see Contact page to get in touch with us. As you would guess, we have a deep interest in aquatics industry. AUSTSWIM accreditation of all three certificates as “Teacher of swimming and water safety”, “Infant and baby swimming”, “Coaching of competitive strokes”, RLSSA (Royal Life Saving Society Australia) Pool Lifeguard, Bronze Medallion, First Aid and Advanced Resuscitation, SLSA Surf Life Saving Australia Bronze Medallion qualifications. What are the conditions during classes like water temperature, depth of water etc.? We have a set of high standards regarding of Guidelines for Water Safety Australia. Babies and kids enjoy the water when the water temperature is set the closest to their body temperature. The water temperature where I run my classes at, is minimum of 31ºC and depth of water is 1.50m. This allows kids to be safe and comfortable and us instructors to be effective during classes for long hours. We also use a swim platform for kids to stand up safely in the water during classes. Allowing kids to learn to swim face to face with the instructors and using their arms and legs freely and easily to get used to the feel of the water. Dance Dance Dance! 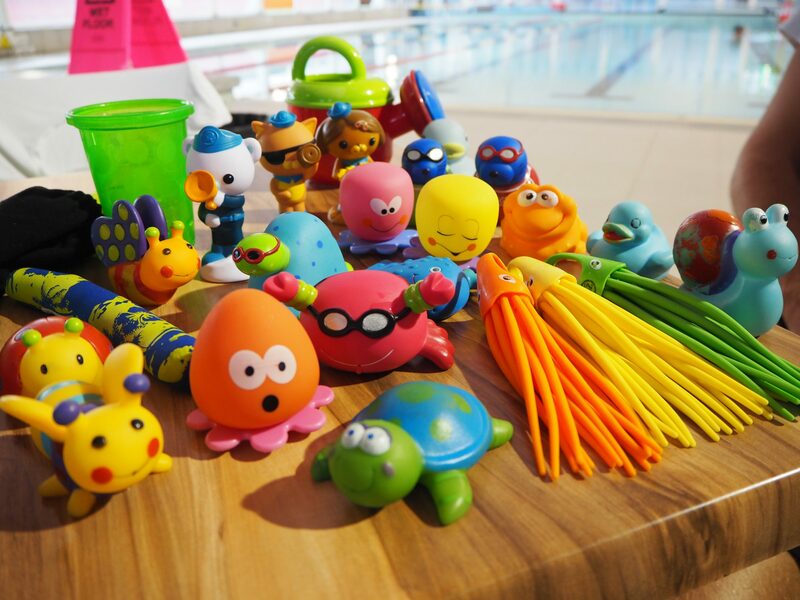 Do you run your learn to swim lessons in English? Sure! Although our priority has always been babies and kids for safety and survival reasons, if you wish to apply for an adult session, please Contact us. Do you run private lessons? Yes we do! Group lessons are a great way for kids to learn how to swim in a social environment. We promote group classes to make sure kids learn to swim in a safe and enjoyable way. But you can apply for a private lesson request as well. If we have free time and you are available at that particular date and time we can work it out. What are the prices for private lessons? Please refer to the Price List for both private and group lessons. How can we have an appointment for a group such as a crèche or a pre-school? We have private contracts with groups and organizations like crèche, schools if they are interested in providing swimming lessons. Please Contact us if you have a group of families or a nursery school or an institution keen to have learn how to swim classes. How many kids in one class? It differs for each type of class but most classes are 1:1 and maximum 3:1. Please see the Lesson Plans and Price List page for details. How do I register for a swim class? 1 – Choose your child’s level. (See Lesson Plans) If you are unsure of what level to sign up for, We would be happy to a quick assessment and help with the placement of your child. 3 – Contact us for registration and reserve your class with the relevant fee transfer. When can I sign up for swim lessons? Webbelieve that every child needs to learn to swim therefore we run the swim classes all year round in 3 stages and 11 levels. In every level, there are many swimmer and non-swimmer kids with different swimming abilities. You can contact us anytime for registration. We’re sure there’s a suitable spot for your kid as well. You can either pay cash or transfer the fee from your bank account and send the receipt to our mail box to make sure you have reserved a spot. We don’t take credit cards but working on a deal with the bank. Soon to be provided. You can withdraw/freeze your account anytime! All you need to do is to let us know that you won’t be able to continue lessons anymore as soon as you decide. Please make sure it’s at least 24 hours prior to the next lesson. In case of emergencies we always work together with families but due to operational costs, no random refunds are offered. If you wish to discontinue your swim lessons, all you need to do is to finish the amount of time that you have paid for. You can freeze your account and get back whenever you’re ready. If you are unsure about your future plans, just pay for one class. There is a limit and certain rules for make-up lessons. To qualify for a make-up lesson, please contact us at least 24 hours prior to your scheduled lesson. Make up lessons can only be booked in the same week and can be used anytime as long as we are available at your preferred date and time of that make-up lesson. How long does my child attend the swim lessons? As long as you want! My classes are perpetual which means they continue indefinitely until you want to withdraw. However, my recommendation is that your children stay enrolled in my program until they turn 12ish. Swimming is a lifesaving skill. Let your children excel at swimming when they are young. What happens if my children’s level of swimming is lower or higher than the otherkids in the group? Flexibility is a key skill for a swim teacher in aquatics industry. I know how to identify skill differences in students in same class and teach based on their own skills. I am very flexible in working with each child’s individual strengths and weaknesses within each level. I also continually assess and test every child individually to make sure that the learn to swim process is on the right path for them. How do I change day and time? No problem! You may change your day and time by talking to us in various ways like call, sms or email. Please feel free to check with us anytime if you wish to change your preferred swim class time. You can always contact us and ask questions about our learn to swim program or swimming in general. Please refer to Contact page for detailed contact information. Thanks for taking the time to read all the information.